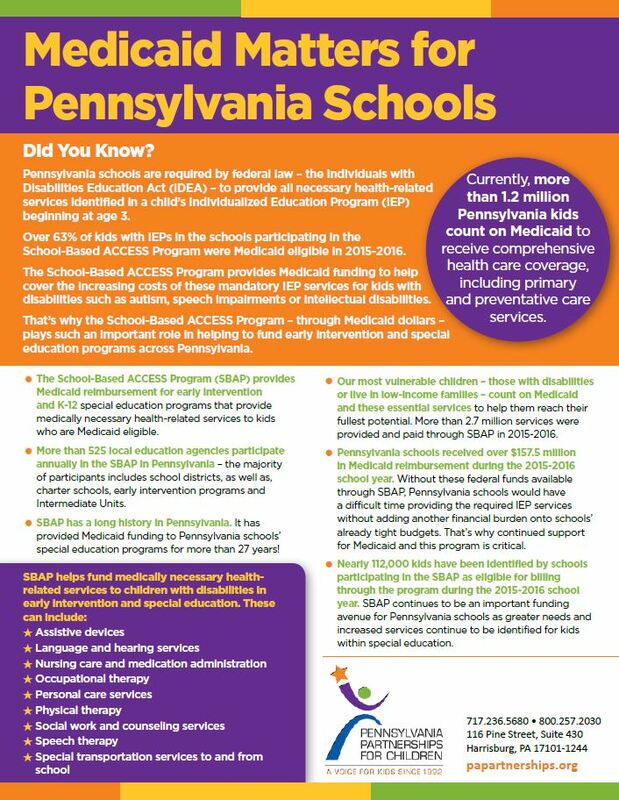 The School-Based ACCESS Program helps to fund early intervention and special education programs across Pennsylvania. These programs provide medically necessary health-related services to kids with disabilities who are Medicaid eligible. 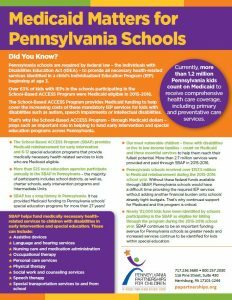 Pennsylvania schools received over $157.5 million in Medicaid reimbursement during the 2015-2016 school year.